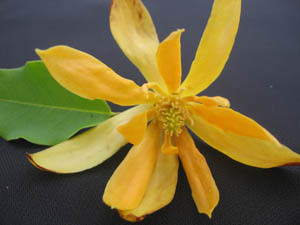 This tree is popular in Asia, but quite new to the American market. 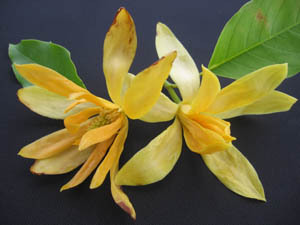 Michelia is related to Magnolia, but the flowers are not as big and pretty. They are just as heavily scented though. 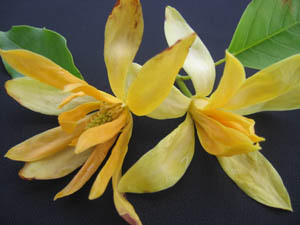 This Michelia is where they got the "Joy" perfume from. Michelias grow fast to provide shade. Trimming will be needed to keep it under control. It blooms heavy in the spring, you can trim it if necessary after the flowers are gone. 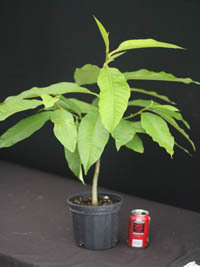 Plant pictured next to a soda can was a plant in a 6" size pot. All pictures are for reference purposes only and not of actual plants for sale. Click to check price and availability.